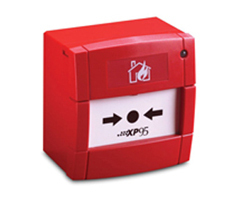 Protect your premises with the latest fire detection technology. IDS specialise in the design, installation and maintenance of fire alarm systems for commercial, public and residential properties in the UK. Based in Cardiff but operating throughout Wales and England, we cover all categories of fire detection system, from conventional formats through to large, networked, multi-panel addressable systems. We have installed fire alarm systems in large government buildings, shops, residential properties, and offices of all sizes. If you would like to request a quotation for your own fire alarm system, please call 029 20 753 251 to speak with a fire protection specialist at our office in Cardiff. Fire Detection: Why Choose Us? We at IDS are Cardiff’s leading providers of reliable fire protection solutions. If you need fire alarms, we will design a system that meets both your requirements and the current recommended standards for the industry. Furthermore, we’ll provide a professional installation and maintenance package that’s specifically tailored to suit your needs. 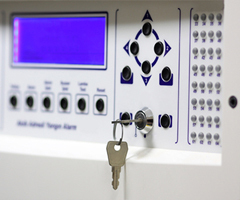 Following a survey of your premises, our experienced team of fire detection specialists will supply and install a fire alarm system that – together with our 24-hour monitoring and engineering service for maintained customers – gives you round-the-clock peace of mind. 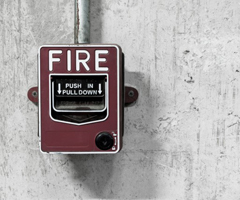 If you choose to take out a fire alarm maintenance contract, we will be on hand at all times to make sure that your fire protection system is functioning properly and keeping you safe. Contact IDS Security Systems today to learn more about our fire alarm systems and to request a free quotation.